So, we’ve been eagerly awaiting new music from Maroon 5. AND TODAY IS OUR LUCKY DAY! Vulture just let us know that they dropped a new single called “Don’t Wanna Know” last night, and we’ve got the audio to prove it. 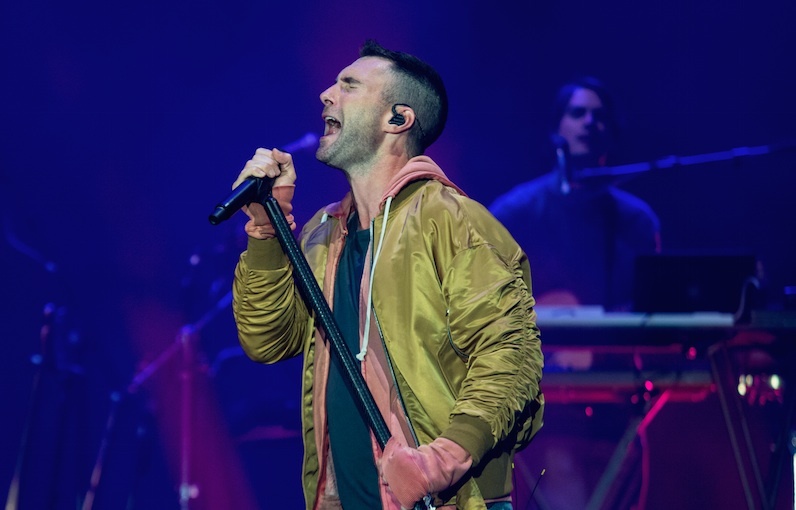 The song highlights trying to dull the pain of losing someone — something we can all relate to in some form — and yes, it features Adam Levine’s signature falsetto. The overall vibe is low-key, allowing the lyrics to really stand out. Then there’s Kendrick Lamar’s rap that gives it an edge. "I don't wanna know, know, know, who's takin' you home, home, home, home and lovin' you so, so, so, so, the way I used to love you." Yeah, this thing is REALLY catchy, so prepare to be singing it…in the car, at home, while you’re waiting for the bus, at work, in the shower…etc, etc. Not to mention, the lyrics are relatable AF if you’ve ever been through a breakup or had to say goodbye to a special someone. Le sigh. And if you dig it, know that the music video comes out this Friday. By then, you’ll know the song by heart.